A monument at last for Octavius Catto, who changed Philadelphia | The Inquirer It becomes the first public monument honoring a specific African American on the city’s public landscape. 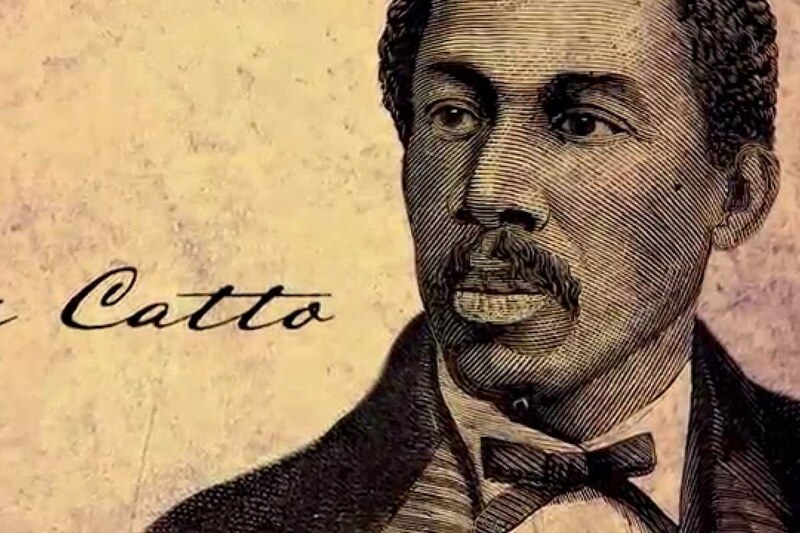 Educator, scholar, writer, pioneering baseball player, and fearless civil rights activist, Catto had fought unflaggingly for an equitable society in the wake of the Civil War. He successfully protested to desegregate Philadelphia’s trolleys, he fought to pass constitutional amendments enfranchising black citizens, and then he worked to bring those new black voters to the polls. He was rewarded with an assassin’s bullet and erasure from the history books.